I finished day 1A as the chipleader of the tournament after a lot of ups and downs. I went down to 12000 chips and from there I played some big pots and reached 157.600. If you want to know more about what happened in day 1A, you can see the highlights of the day on PokerStars blog. You can read about hands I played like 94k pots where I had 85o and I won on the river with 55s. Today I will be sharing the key moments with my readers through facebook! Next Sunday the Summer League of andrecoimbra.com will be over! 12 tournaments have already been completed and since the first one nezzi77 has kept the leadership, is Sunday the day that he will celebrate his victory or not? There are a lot of players in the top10 that can steal the victory of the League from nezzi77 by making a final victory. itaka_rolm made a money finish in half of the tournaments until now, but he still hasn't won one, can he win the finals and the league? As in the previous tournaments, whoever makes it to the final table, will receive a ticket for the Sunday 1/4th Million! As for the rest... after finishing the Summer League of andrecoimbra.com, PokerStars will have the WCOOP, which is a mix of tournaments of various formats and values, where the winner receives a bracelet. I will use my SuperNova Elite ticket to play the Main Event ($5200) and I intend to play various satellites and try to win entries for other tournaments (and play those :P), it's very prestigious to win one of those tournaments. Would you like to play a tournament of the WCOOP, but the buy-in is too expensive for you? Apart from all the satellites available at PokerStars, there will be another chance to win an entry at a discounted price! PokerStars will give to the winner of the Big Finals of the Summer League of andrecoimbra.com a Ticket that can be used in any $215 tournament of the WCOOP! PokerStars will have some daily freerolls until the 25th of September, that will allow you to go play a final tournament where the winner gets a fantastic Lamborgini Gallardo LP 560-4! In that final tournament, whoever finishes in the top5000 will also receive a part of the $250,000 prizepool!!! I spent the first week of the month on holidays in Algarve, so I didn't touch the software of Pokerstars at all. When I came back, I played as many hours as I could per day, cause I felt I was late on the VPPs. I have 48k VPPs halfway through the month, which is not bad. I was losing $12k and I won back $6k. I believe I started to lose more because I was playing badly, but I managed to correct some flaws of my play and I believe that until the end of the month the graphic will be looking better. I already played 4 step6s, out of which I won 2, got 4th in one and didn't win anything in the other. If we take into account that I already spent $8.7k in rake and the value that I'm getting out of any cash bonus and milestones, I should be break even for the month, which is not bad after taking a look at the graphic above. Also, this week I intend to move in "my" (it's rented) new appartment in Lisbon, I have already taken care of the utilities (water, electricity, net, etc) and half of the furniture. To my great disapointment, I forgot that the last time I went to buy furniture at IKEA I said I would never go back! The problems that IKEA clients face begin with the name of the shop. Is it pronounced "Iqueia" or "I que a"? That's an ambiguity that leaves me wondering. Not knowing the correct pronounciation of the name of the shop in which I am, bothers me. [...] I dread that the employers will understand, through my behaviour, that I think I'm in "I que a", when, for them, it's obvious that I'm in "Iqueia". The difficulties, however, are not only semantical but also conceptual. Everyone is convinced that IKEA sells cheap furniture, which is not exactly true. IKEA sells piles of boards and handfuls of screws that, if everything goes well and with God's help, after a certain effort will be transformed in cheap furniture. It's some sort of Lego for adults. I'm not saying that IKEA furniture is not cheap. What I'm saying is that it's not furniture. In the state we buy it, it's a puzzle. 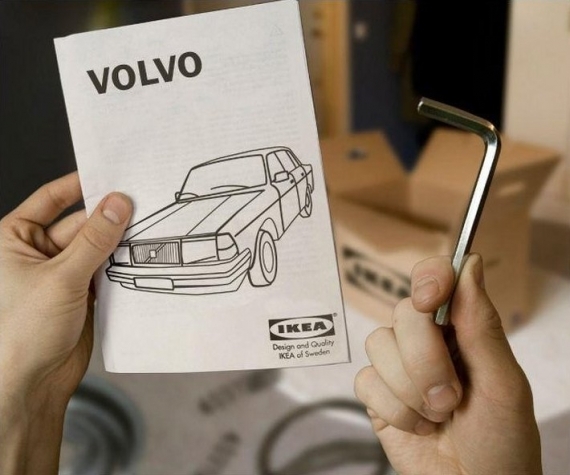 The question, however is if IKEA sells cheap furniture or expensive puzzles. Some days ago, I bought at IKEA a piece of furniture called Besta. I thought it suited my personality. All the material that I needed and that I had to carry to the cashier weighed six hundred kilos. [...] This is my advice to the clients of IKEA: don't go there without two or three mules. I hurt my back with those 500 kilos. What I saved on furniture, I spent it at the orthopedist. At this moment, I have twelve shelves and three ruptures. It's obvious that there are some positive aspects: the boards were already cut, which is better than nothing. IKEA doesn't oblige clients to go to the forest and cut down the trees, even though sometimes one may feel that is not that far from happening. In the immediate future, it is possible that, when they buy a piece of furniture, the clients will receive a hatchet, a handsaw and a map of a specific forest in Sweden where IKEA keeps an eye on two or three oak trees that are considered to have the potential of being transformed in a funny bedside table. On the other hand, there are problems that are hard to solve. The furniture I bought arrived home in two deliveries. The team that brought the first part was not there to mount the second part, and the team that brought the second part refused to get involved with what the first team had started. The result: the client paid two transports and two mountings and was left with an incomplete piece of furniture. If it was any client, I wouldn't mind. But since the client was me, I was a bit annoyed. In a store that sells everything in pieces (all of which, by chance, form a set) it is ironic that the transport service does not come in set with the mounting service. Idiosyncrasies of the modern trade. So, what to do? Every client has their own way of reacting. Mine is this: next time, I'll pay with a cheque cut in little pieces along with a roll of scotch tape and a book with instructions. I will deliver half of the confetti on one day and the rest on the following day. And the swedish people will have to mount everything, if they want to get paid." From now on, the password for the Summer league of andrecoimbra.com will be posted on Facebook. Look for it and participate, all the tournaments give a ticket for the Sunday 1/4 Million for everyone that makes it to the final table!!! I played over 100,000 tournaments this month at PokerStars! These stats are from sharkscope.com and they refer to all the tournaments that I have played at PokerStars (sit-n-gos and multi-table-tournaments) since 16th February 2007. Also, I'm almost reaching 100,000 sit-n-gos at PokerStars, but I will make a post with similar pictures later on. Yesterday I continued to lose at the $88s. At the steps I won a step6 and got 3rd at a step5. So far this month I am losing $10k at the hyper-turbos and winning $4k at the step6s, but what I'm really worried about is that I'm losing 87 buy-ins at the $88 sits. I seriously doubt that this is just a downswing, I'm almost sure that it's me that's playing wrong the hyper-turbos. A common mistake made by amateur players and semi-professionals is to ignore the numbers and blame it exclusively on luck. It's a mistake that ends up being expensive and I don't have the luxury to make it. Ah! I finally managed to sleep 9 hours, the previous days I was sleeping 6-7 hours due to a feeling of "lack of control" when it came to the results. When I'm playing important mtts or step6s, I'm posting messages at my Fan Page, go check it out and follow me at PokerStars! Yesterday I passed 600k VPPs! As far is Poker is concerned, this month only started 4 days ago, but at the hyper-turbo tournaments without counting points I am losing $7K. It's a normal amount for someone that plays $400 tournaments, but it's frustrating to be constantly losing without knowing if I'm a winner or a loser at those games. What affects me is the uncertainty and not the results. Even so, my self-confidence level is high enough so that I play them next week again, I keep wondering if I should really be playing them. Some people may think that the fact that I am constantly changing games and stakes may create instability. From my point of view, it indicates a certain dynamic and the will to progress. I like to always change towards the best and I need to experiment to know if it pays off. If you think about it, the only place where one learns without experimenting... is at school! I think it was important to share these thoughts with my readers since we all try to go up to higher levels and we all have downswings. Now let's talk about something different... Yesterday I played two step6, I won at one and lost at the other. I also played a step5 and I got 3rd, or to put it differently I stayed at the same level earning another step5 ticket. I had 8 step6 tickets and 1 step5. I was keeping them for this period where there are step6s for the WCOOP main event. I'm doing this because on the contrary of step6s for live tournaments, the step6s for online tournaments allow you to unregister from the tournament that you got the entry for, and you get t$ in return. Since jorj95 is on holidays and I need points, I have been playing the higher stakes of the hyper-turbo satellites at PokerStars. The results haven't been great, but the sample is so small... I think that I would need between 6 and 12 tables to have numbers that are at least reasonable. I also think that it is important for me to get used to higher stakes, cause in less than a month there's the WCOOP and there will be many opportunities to make money. My PC was lagging when I had to rearrange the poker tables and that really annoyed me. I tried to keep the pc running as light applications as possible, but the lag continued. Eventually, I decided to put a graphic card for the 24’ monitor and it was good. If at any point you buy a 30’ monitor, you should have one graphic card just for it! On Saturday I came back from Algarve where I was on vacation with my family, and since I'm a bit late on the VPPs I played both on Saturday and on Sunday. 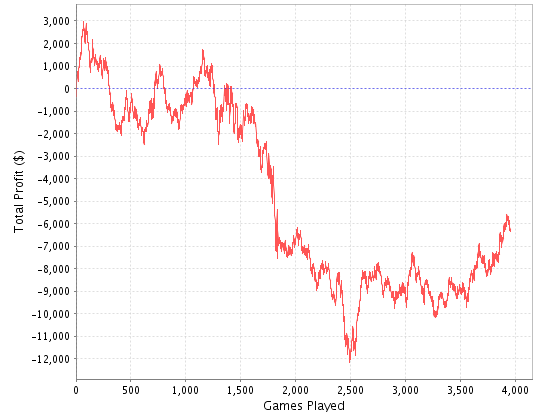 I played a bit more than 1000 tournaments during the weekend and I finished break even. As for the mtts I won $400 at the trimestral freeroll for SuperNovas and I didn't make it to the prizes at the Sunday tounaments. I have been updating my Facebook fanpage with information about the tournaments that I'm playing and some followers have been supporting me while I was playing. Thank you! This week I will reach the next milestone, 600 Vpps. I'm super late, but there is no point in looking back, the only thing that matters is what I can do from here on. Athens is quite an expensive city, so I decided to come back to Portugal, since I can have a better quality of life with the same amount of money. Nevertheless, it was an interesting experience to live alone for 6 months in a country whose language I don't speak. I have already found an appartment in Lisbon and the only thing missing is to take care of the furniture and the bureaucracy. I chose Lisbon to live in, because it has an airport in a central zone of the city and there are more opportunities of work/business for the future. I'd like to see if by the end of the month I will be able to have working conditions there, but I don't know if that is possible.